for maximum mileage and vehicle longevity. than double the useful life of engines, transmissions, differentials, etc. page or the main Cerma store site where you can purchase products. what specific Cerma products are for you.  is offered which then links you into the main cermastore site. lawn mowers, rototillers, and chainsaws for the past 5 years. The stuff works. are even more effective than using just the engine additive for these areas. a 6 micron coating of ceramic protection on all wearing metal surfaces. you would normally get out of them. though). That can save you a lot of money. not allow the formation of performance degrading sludge and abrasive carbons. technology! Cerma seals and protects metal for superior lubrication of hot parts. Cerma treated oil can maintain adhesion to hot metal in excess of 1900º F.
other oil, additive, or synthetic oil. explore besides just being a place to order product. up under me. Cerma isn't cheap product. It is very much needed and is in high demand. 1500 miles left to go before the next oil change. This treatment is only done once. diesel than it would be to buy three 2 oz Cermas for gas engines. every 3000 miles and will run it until the oil is a dark honey color, before almost black. color on the dipstick and extend the time periods between filter changes accordingly. of your air conditioning pump and system components, with resulting cooler air. you a year depending upon how many miles you drive a year. what to hunt for and how to properly categorize items on the main site. to those areas of the site. between oil changes, is the same price as Cerma oil good for only 15,000 miles. That's not true if you only buy one or five quarts. demonstrations there regarding what these products do for you. you prices on everything offered on one single long page. a discount for larger orders that shows up at checkout. box which says "For more information or to purchase online - click here..."
the top menu. Then select "Application installation specifications" from that menu. page to look at that is easy to read. a no brainer on which oil to use if you'll buy it in 20 quart quantities. Everything is covered on the doseage instructions page except small engines. that's about 15ml of Cerma w/STM-3, per liter of oil in the engine reservoir. undergoes cleansing and the up to 6 micron coating is plated onto the wear surfaces. w/STM-3 oil at the 6 to 12 hour point should then last a long time. that's 3.2 oz or 95 ml of the Cerma 2 cycle oil mixed with 1 gallon of gasoline. technology, you can reduce the oil used to a 50-1 or even higher mixture. hot it would leave a bar S imprint in your hands if you tried to do that. You must choose whether the use will be for diesel or gasoline. and you use diesel fuel treatment in diesel engines. get into the cermastore site. It tells quite a story. injectors, cleans fuel lines and provides unmatched protection. the fuel injectors and fuel tank, and acts as an octane booster. Simple application for the fuel treatment , just add it to the fuel tank. at the recommended ratio of 1 oz per 40 gallons. 2nd Fill Up: Repeat, not too hard to remember. reads to be able to add 20 gallons of fuel, which make this quite simple. sure you add it BEFORE refueling so it gets mixed up good during refueling. $2 worth will treat 20 gallons of fuel. A more in depth explanation of just what Cerma is. as lubricate at temperatures in excess of 1900 F.
normal lubricants and PTFE (teflon) additives fail. of ceramic coating. Cerma is a material that contains no solvents. for proper lubrication of hot parts. protection whether cold or hot. Cerma lubricating pigments are capable of carrying loads in excess of 350,000 PSI. That’s over 20 times the protection of any oil or additive, including synthetic oils. Cerma is resistant to most chemicals and acids while inhibiting oxidation. the components within your engine and transmission. Every moving assembly produces Harmonics. parts. Harmonics will lead to the destruction of bearings within your engine. and lower fuel demand requirements. unpainted surfaces. Cerma has just finished 5 years of real world testing. Cerma products have been tested and validated by an EPA certified lab. harmonics by as much as 98%. sub-surface of the metal surfaces of an engine and drivetrain. Ceramic seals and protects metal for superior lubrication of hot parts. Normal oil avoids metal at 275º and will oxidize at 375-425º. the metal which ensures protection in both hot and cold conditions. cleanly, as well as providing for increased power. filming of motor oil which results in a condition referred to as "dry-start". wear each time the engine is started. Can Cerma increase engine horsepower? horsepower when Cerma was added to the oil. Can Cerma increase engine compression and fuel economy? mileage, weight, weather conditions, and tire pressure. increasing the efficiency of the fuel ignition system. 500 to 1000 miles of Cerma use in the crankcase. driver's habits, have caused the increase in fuel economy to vary. Why is the reduction of emission gases important? (exhaust) and from the evaporation of the fuel itself. in the fuel to carbon dioxide. Nitrogen in the air would remain unaffected. and diesel engines emit several types of pollutants. oxide and sunlight to create ground-level ozone, a major component of smog. problems. It is our most widespread and intractable urban pollution problem. A number of hydrocarbons are also toxic with potential to cause cancer. miles has offset much of the emission control progress. A "Smoke Test" (Opacity) was conducted on the Diesel truck's stack exhaust. This is a test the State of California conducts to measure particulates in the exhaust. points using laser light refraction. The test is repeated several times. How does Cerma protect my engine? that Cerma removed from the surfaces within your engine. automatic transmission and replace the oil. replace the transmission oil, then replace it with Cerma gear oil. 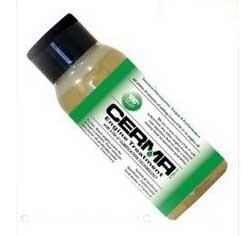 Is Cerma similar to STP, SLICK 50, or any other oil additive? increase your fuel economy and exit when the oil is changed.